We're proud to announce that we've joined Banbury United Football Club's Red & Gold Business Club for the 2018-19 season. Our corporate sponsorship package will include programme advertising, a perimeter board at the club's ground, a match sponsorship, season tickets, advertising on the club's website, and complimentary hire of the clubhouse. 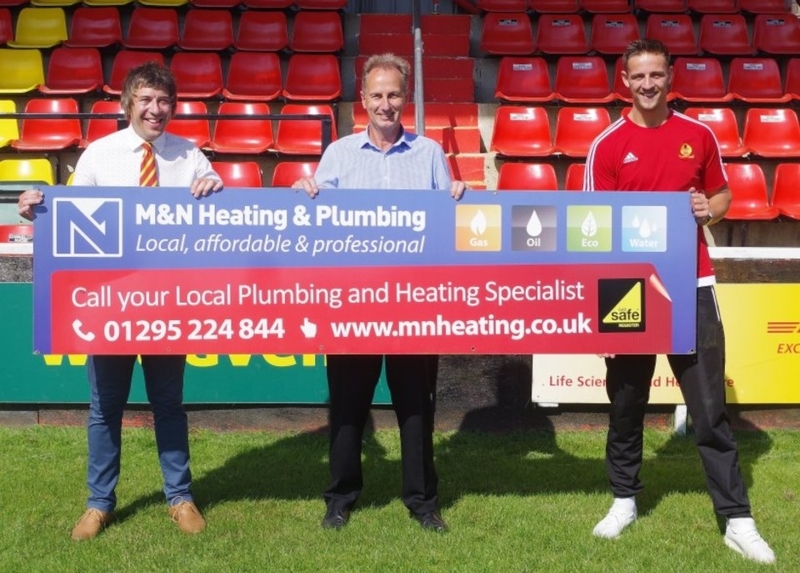 This news was confirmed on the club's website with Banbury United's Commercial Director, Mark Allitt, adding, "I'm very pleased that such a well-known and respected local firm as M&N Heating & Plumbing has decided to join our Red & Gold Business Club for the upcoming season. It's very exciting for the club that we're attracting the calibre of sponsor to help us push the club forward and I welcome them into our sponsorship portfolio. We also have links to M&N via our player Charlie Wise, who works for the company, so it makes it an even more pleasing sponsorship deal to do!" Our Managing Director, Nigel Watts, added, "M&N is really pleased to be sponsoring Banbury United Football Club for the forthcoming season. The club has had a real upturn in fortunes in the past few seasons and we're delighted to give them our backing. It's become a community-owned club with a local feel and in the process we'll be supporting Charlie Wise in his career as well, so it's good news for everyone. We look forward to seeing how Banbury United get on next season and wish the club every success."